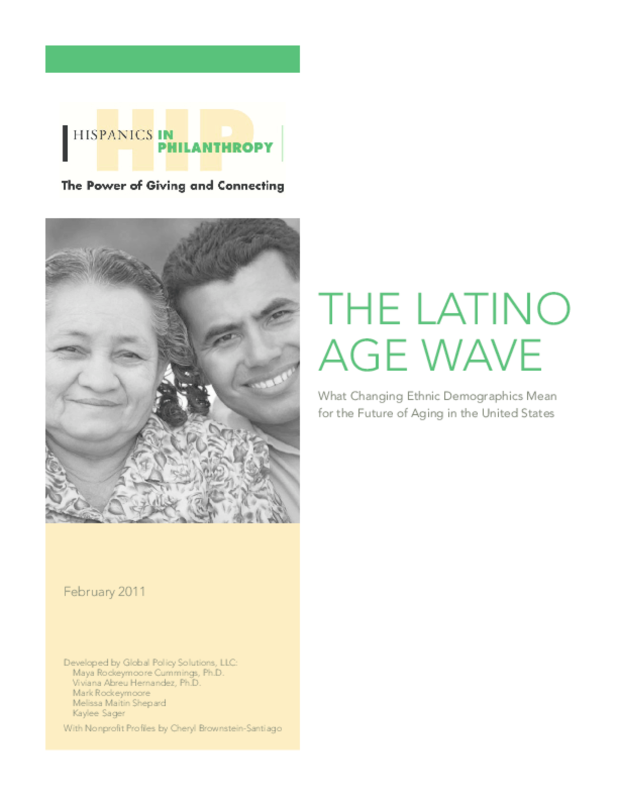 Examines population, age, education, citizenship, income, and other statistics on each of the ten largest Latino/Hispanic groups by ancestry: Mexican, Puerto Rican, Cuban, Salvadoran, Dominican, Guatemalan, Colombian, Honduran, Ecuadorian, and Peruvian. This report contains the most current teenage pregnancy, birth and abortion statistics available, with national estimates through 2006, and state-level estimates through 2005. The report includes tables showing annual national rates and numbers of teenage pregnancies, births and abortions through 2006; state-level rates of pregnancy, birth and abortion in 2005; and state-level numbers of teenage pregnancies, births, abortions and miscarriages, as well as population counts. 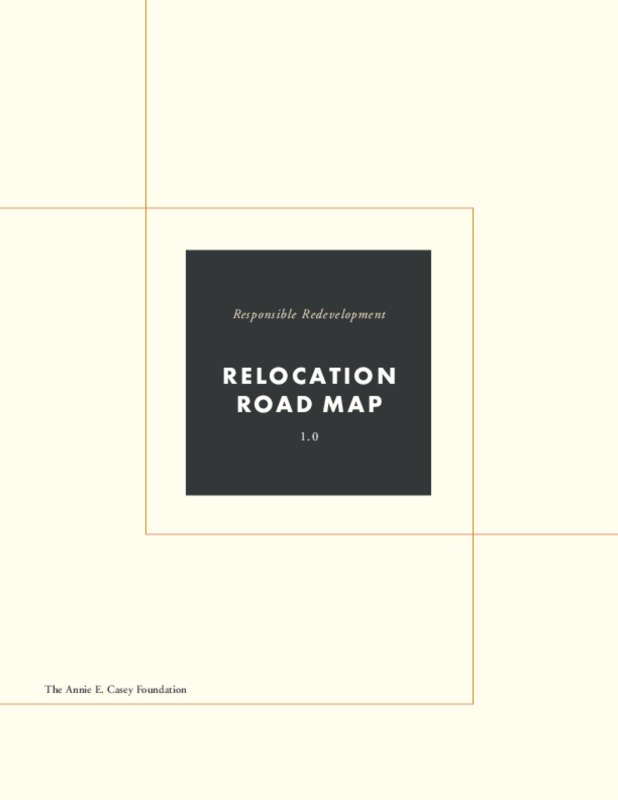 The report concludes with a discussion of the methodology and sources used to obtain the estimates. Some Key Findings: In 2006, 750,000 women younger than 20 became pregnant. The pregnancy rate was 71.5 pregnancies per 1,000 women aged 15 -- 19, and pregnancies occurred among about 7% of women in this age-group. The teenage birthrate in 2006 was 41.9 births per 1,000 women. This was 32% lower than the peak rate of 61.8, reached in 1991, but 4% higher than in 2005.Among black teens, the pregnancy rate declined by 45% (from 223.8 per 1,000 in 1990 to 122.7 in 2005), before increasing to 126.3 in 2006. Among Hispanic teens, the pregnancy rate decreased by 26% (from 169.7 per 1,000 in 1992 to 124.9 in 2005), before rising to 126.6 in 2006. Among non-Hispanic white teens, the pregnancy rate declined 50% (from 86.6 per 1,000 in 1990 to 43.3 per 1,000 in 2005), before increasing to 44.0 in 2006. 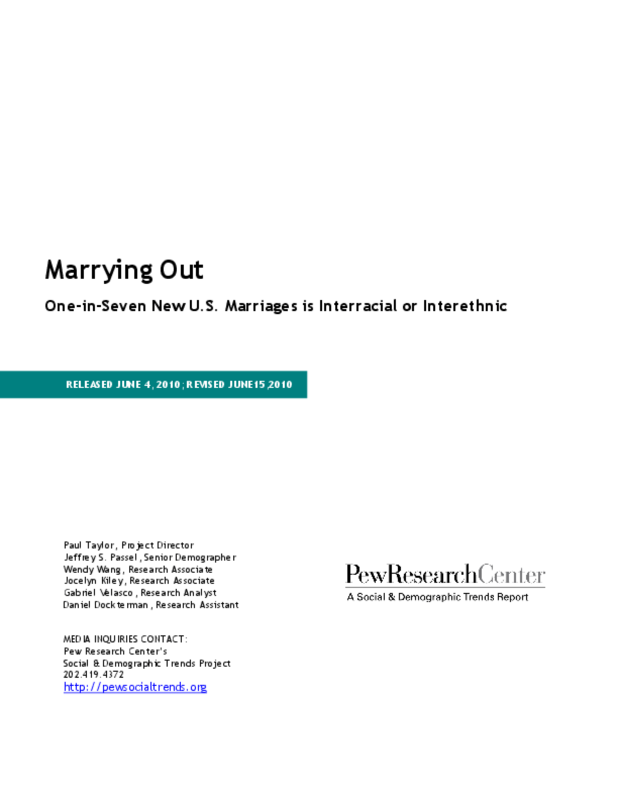 Examines trends in and attitudes toward marriages between different races/ethnicities since 1980, including rates of intermarriage by race/ethnicity, gender, region, education, and age. 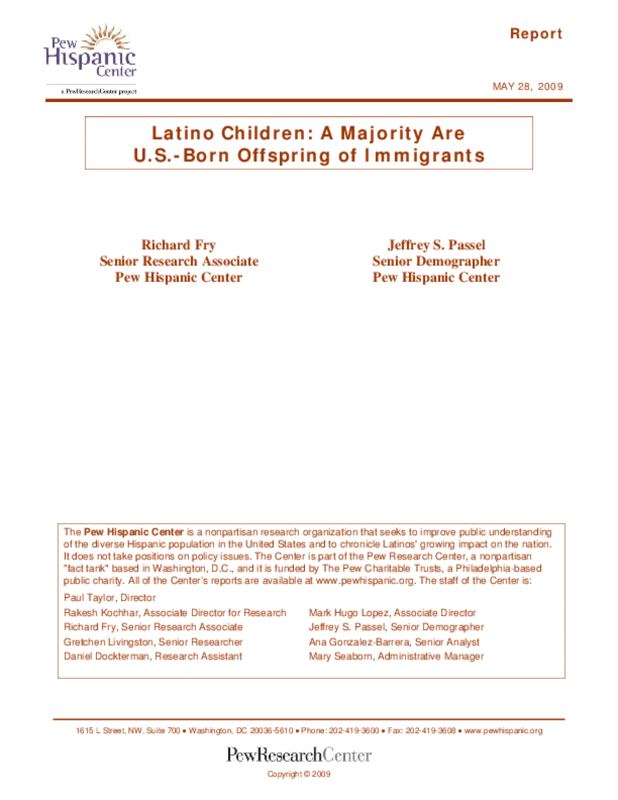 Considers factors behind the trends, including immigration patterns. 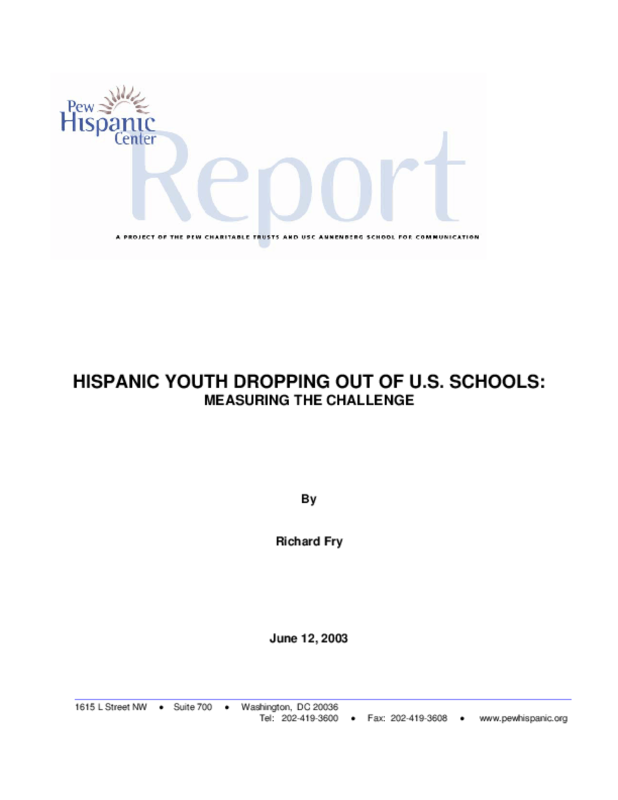 Looks at trends over the 1990s to document how the aggregate published Hispanic high school dropout rate overstates the number of Hispanics leaving U.S. secondary schools without graduating. 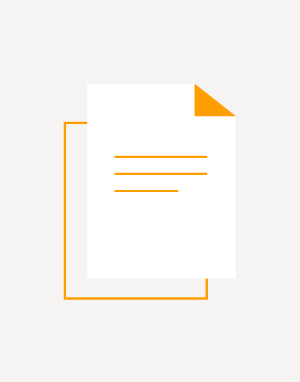 This report calls for greater involvement by federal and state policymakers and others to improve black male college readiness and completion. 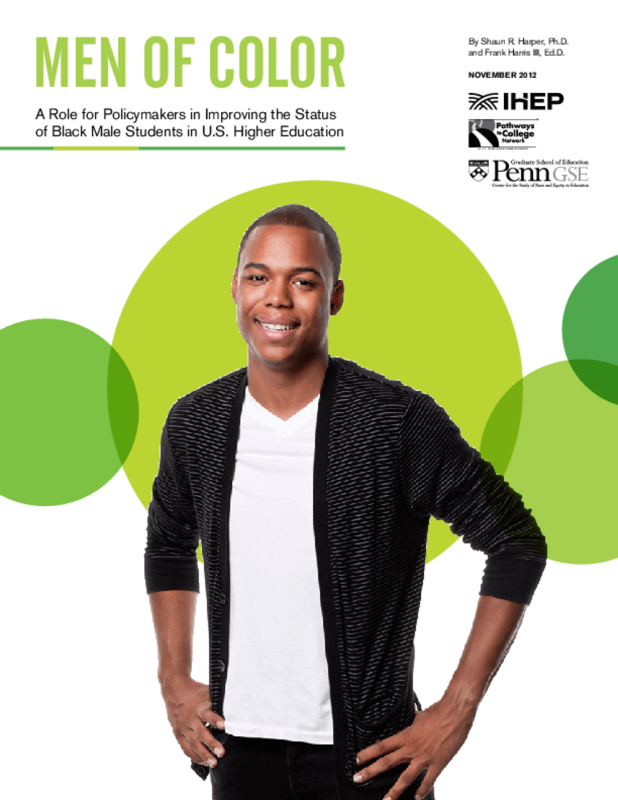 It presents policy-relevant trends concerning black male college students, highlights promising practices on campuses across the country, and proposes suggestions for policymakers and other stakeholders. 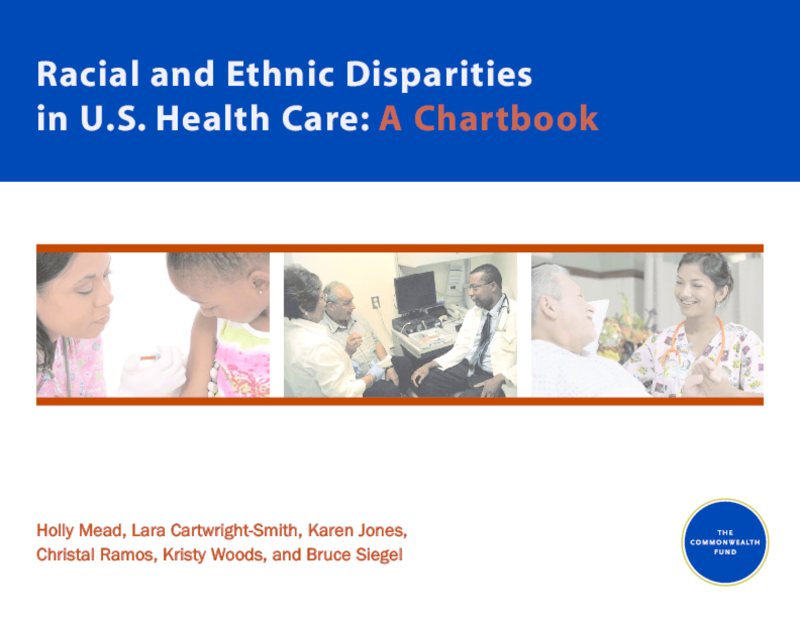 Provides data on demographics and racial/ethnic disparities in health status, mortality, access to health care, insurance coverage, and quality of care. 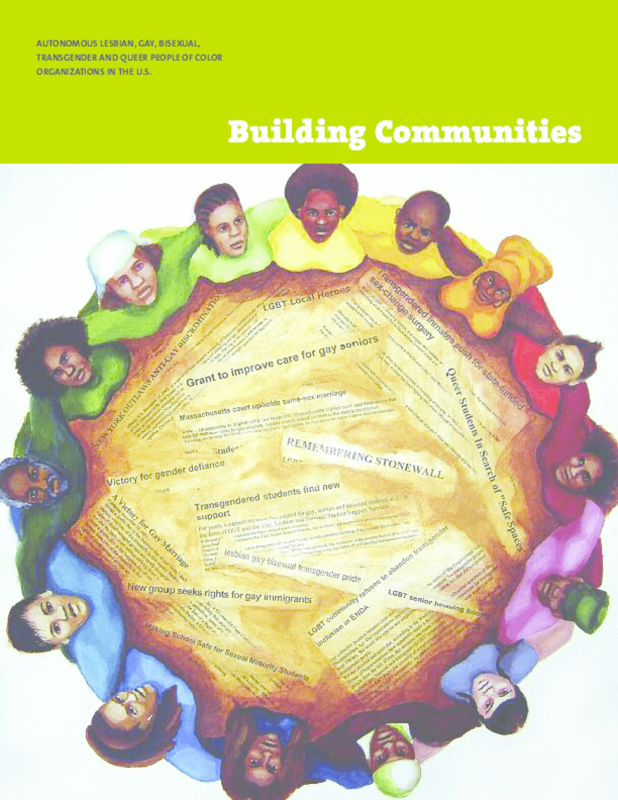 Explores underlying dynamics involving location and quality of health care providers for minorities.